You asked, we heard you, and it’s official: starting today, Waze is available for Android Auto. If you have a car that supports Android Auto, you can now navigate with Waze via your vehicle’s in-car display, touch screens, steering wheel buttons, and other console-mounted controls. Navigate to all your most frequented destinations as pre-programmed in your Waze app in one tap—we’re talking home, work, and your Waze favorites. Start any drive using the voice command “OK Google” to tell Waze where you want to go, keeping your hands on the wheel and your eyes on the road. Receive visual and audio alerts to keep you informed of what’s ahead and find the fastest routes on a larger map with bigger views of alerts, hazards, and more. Help other Wazers on the road by sharing accidents, road hazards or traffic jams through a visual reporting menu. Getting started is easy. First, make sure you have the latest versions of both apps on your Android phone. Then, connect your phone with a cable to your car USB port, select Waze from the Navigation App footer, and start a drive by entering a location. Check out the Waze blog for more detailed instructions. Connecting Android phone with a cable to USB port. Our goal is to help users avoid traffic while providing the best possible driving experience. If you’re new to Android Auto, please share your experiences with the User Community. 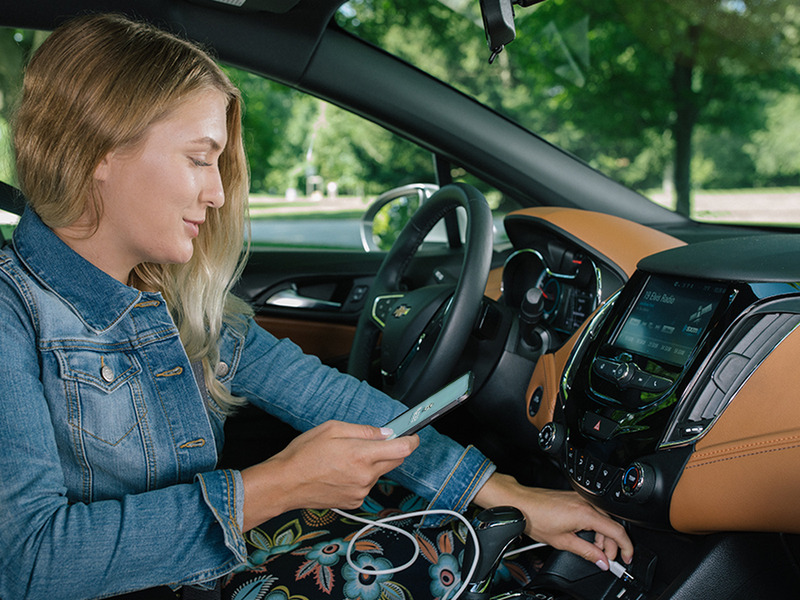 We will continue to make improvements and bring new features to Android Auto to deliver a safe and seamless experience that is purpose-built for driving. Waze for Android Auto is available in all countries where Android Auto is available. Integration of Android Auto on your phone screen is in the works, sign up to receive the latest news on Waze for Android Auto.